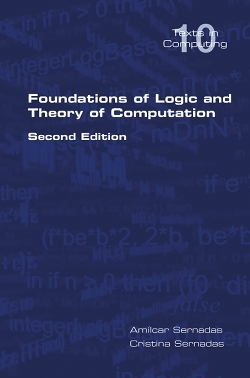 The book provides a self-contained introduction to mathematical logic and computability theory for students of mathematics or computer science. It is organized around the failures and successes of Hilbert's programme for the formalization of Mathematics. It is widely known that the programme failed with Gödel's incompleteness theorems and related negative results about arithmetic. Unfortunately, the positive outcomes of the programme are less well known, even among mathematicians. The book covers key successes, like Gödel's proof of the completeness of first-order logic, Gentzen's proof of its consistency by purely symbolic means, and the decidability of a couple of useful theories. The book also tries to convey the message that Hilbert's programme made a significant contribution to the advent of the computer as it is nowadays understood and, thus, to the latest industrial revolution. Part I of the book addresses Hilbert's programme and computability. Part II presents first-order logic, including Gödel's completeness theorem and Gentzen's consistency theorem. Part III is focused on arithmetic, representability of computable maps, Gödel's incompleteness theorems and decidability of Presburger arithmetic. Part IV provides detailed answers to selected exercises. The book can be used at late undergraduate level or early graduate level. An undergraduate course would concentrate on Parts I and II, leaving out the Gentzen calculus, and sketching the way to the 1st incompleteness theorem. A more advanced course might skip early material already known to the students and concentrate on the positive and negative results of Hilbert's programme, thus covering Gentzen's proof of consistency and Part III in full. This extended second edition also incorporates the corrections and many improvements of the text prepared since the original publication.